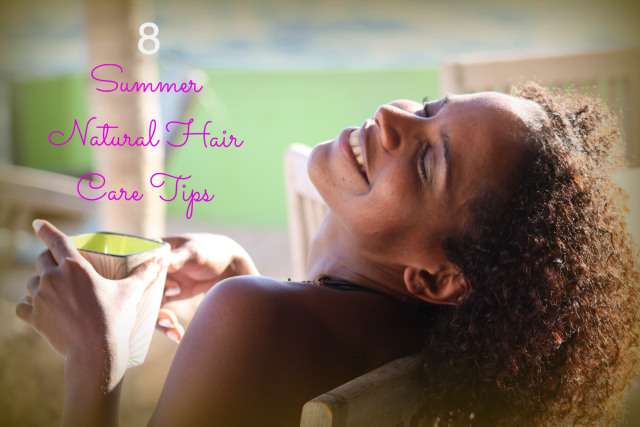 With summer practically on the northern hemisphere doorstep I’ve scoured my favourite natural hair blogs and collated the best advice that I plan to follow for my natural summer hair care routine. I think moisturising your hair will always come up as the no 1 hair care tip, no matter the season, and it couldn’t be more apt than to ensure healthy hair during the summer. The hot air temperature and the direct sunlight on your hair can really cause havoc on your tresses by drying it out, which leads to brittle hair and eventual breakage. Incorporate nourishing deep conditioning treatments into your wash routine to replenish what the the sun has taken out. Use moisturisers / leave-in conditioners with water as its first ingredient. This means the product is water based.